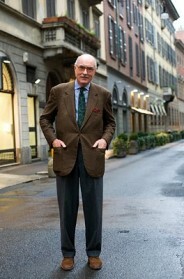 He looks like my nonno… The moustache, the glasses… he would have been 94 years old this year. I miss him. I love his smile! He looks like he is so happy with his life ! Aaw he’s the cutest, so stylish! Love the jacket! Such a dapper gentleman. I wish everyone took such care with their appearance. One of the most elegant gentleman out there! 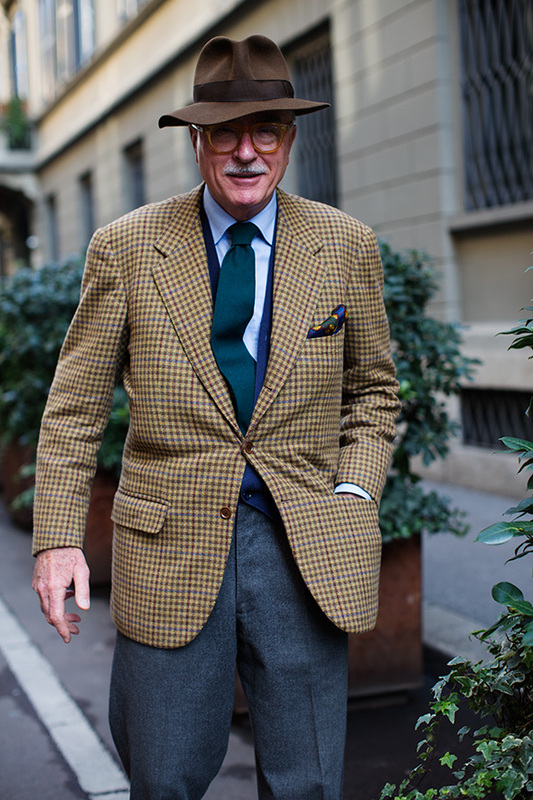 This dude is my new style icon…I want to look like him in thirty yea..nah, I want to look like him NOW! 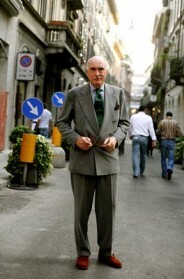 LB is simply one of the best dressed gentlemen in the world. Last year when I was selecting a new travel hat (Borsalino) for when I leave sunny Newport Beach for the chilly East Coast – I sent Mr. Holland a photo of Mr. Barbera from The Sartorialist. While, I got the perfect hat – I just need 30 years to break it in. Now that’s a chic gentleman! You can just tell he’s a natural and doesn’t spend a lot of time fussing in the mirror. Very handsome man. Somebody said “dashing.” That is the mot juste. Good to see that Pharrell has given the hat back to its rightful owner…..
LOVE this look. He is dashing! Made me smile. Wish more were like him – pics and people! The hat! Ahhh the hat! Killer hat! It’s all in the worn -in, bundled up brim and tall crown which makes it so hurtfully swaggered. This gentlemen got swagger! Lots of it! Style class is now over.